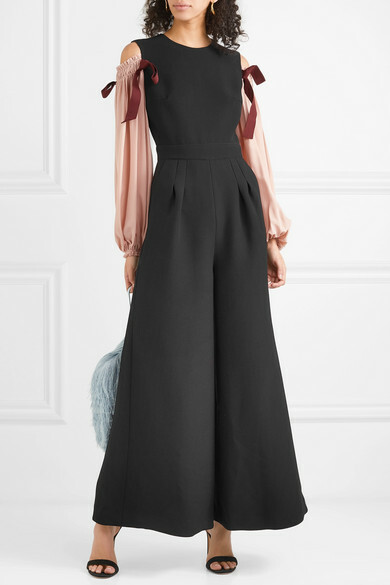 Roksanda's jumpsuit is a contrast of structure and softness. 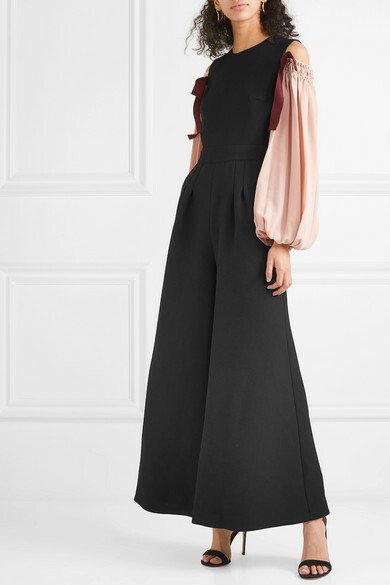 Cut from crepe with a fitted bodice and extra wide legs, it has off-the-shoulder sleeves that are smocked to create a romantic balloon shape and finished with burgundy bows. 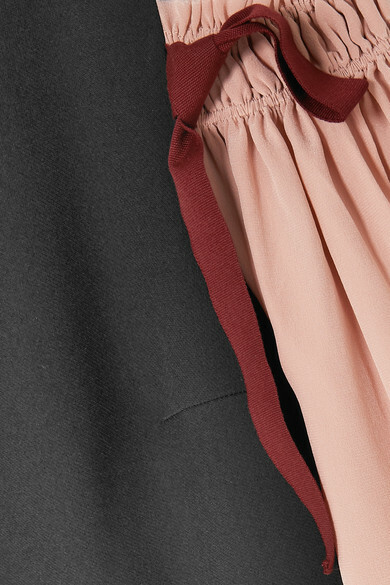 Wear it to evening functions and events with heels and sculptural gold earrings. Shown here with: Hillier Bartley Clutch, Gianvito Rossi Sandals, Chan Luu Earrings.